Your garage door serves multiple purposes. Not only does it protect your vehicle and belongings, it service as a way to keep out the elements. Though garage doors are relatively durable, occasional service and maintenance is required. 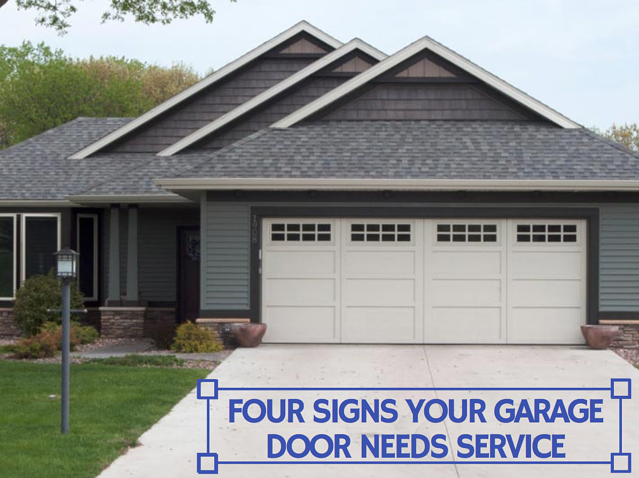 The experts at Overhead Door share four signs your garage door needs service, so read on for more! Do You See Signs Your Garage Door Needs Repairs? Click...click...CLICK! No matter how much you mash the buttons, the door won't open or close. If it does, it moves slowly. Additionally, you might notice that the safety equipment at the bottom of your door isn't working properly. Electrical shorts or disconnects are a common problem with garage doors, so it's important to get them checked out as soon as possible. Did That Always Look That Way? 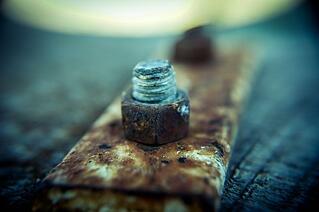 Have you noticed rusty parts on your garage door parts recently? Perhaps you've seen portions of your garage door getting a little saggy. Though it's sturdy and designed to last a while, your hardware does need replaced eventually. If you notice bolts, screws, or the tracks of your garage door looking a little worse for wear, it's time to schedule a service call with a professional. Watching your garage shimmy and shake like it's in a disco can be very disconcerting. While these symptoms indicate that your door is misaligned with the tracks, this isn't a problem you should ignore. As the door continues along its imbalanced path, it can wear more heavily on one side of the hardware. Be sure to set up an appointment to have your garage door serviced as soon as possible. Garage door should make minimal amounts of noise, especially newer models. Most often, noisy garage doors come from springs or tracks that just require a little grease to help them run smoother. Think of this lubricant as "cartilage" for your garage door and the parts; it acts as a buffer to keep the two rough pieces from rubbing each other raw. Are you concerned that you need to have your garage door serviced? Overhead Door not only provides new door installations, we can help you with maintenance and repairs, too. Schedule a service call with us today!